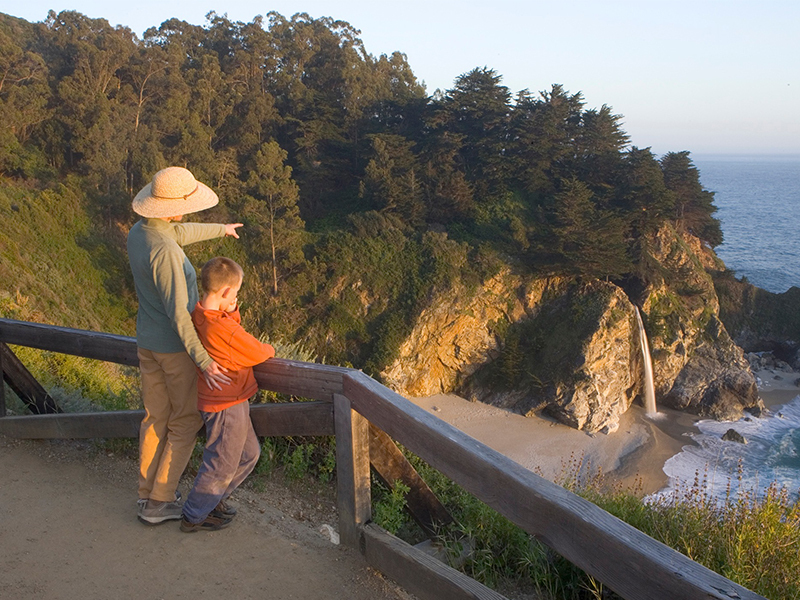 Walk right out your cabin door, down a redwood lane, and into historic Pfeiffer Big Sur State Park. 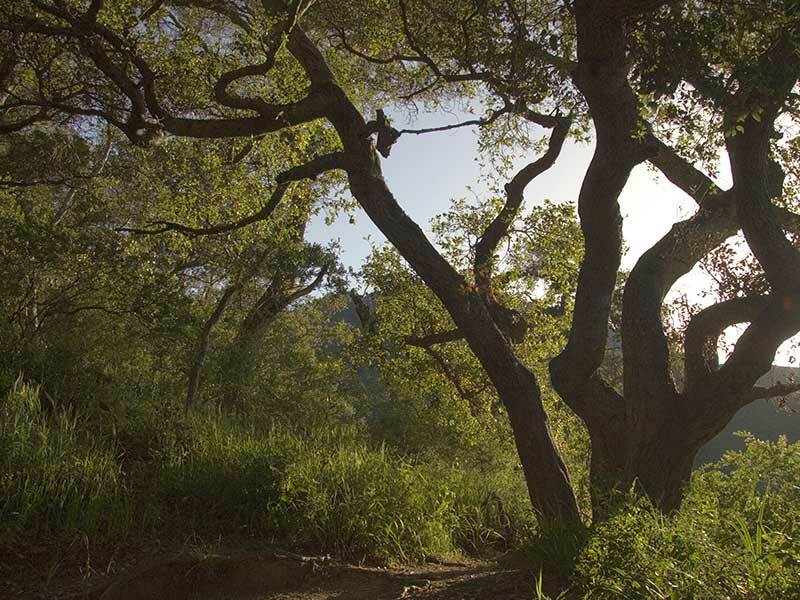 There are several trails open: Nature Trail, River Trail, Valley View and the Redwood Deck. These are strolling trails and range from easy to moderate. For the latest on open trails go to the state parks website here or inquire at the front desk for more information. If swimming is on your mind, grab a beach towel and head to our outdoor heated pool for laps or lounging. 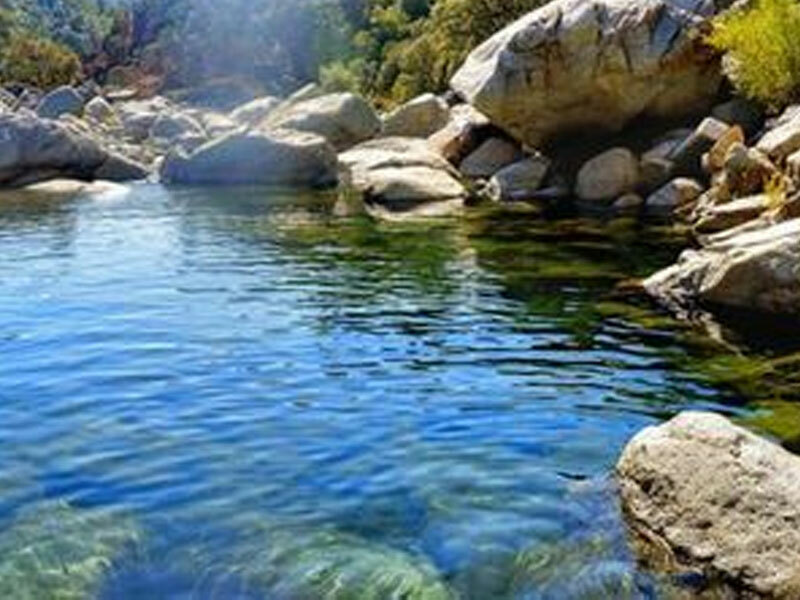 Or, for something more bracing, walk a 1/4 mile in from the park entrance to Day Use area #2 for a wonderful swimming hole with warm, flat rocks for sunning. The Big Sur Lodge enjoys a reputation as a roosting place to the California condor, which can be frequently spotted in the trees above the lodge. There are only about 400 condors in existence, with about 200 of them flying free. This is the largest tree in the park, measuring 31 feet in diameter. 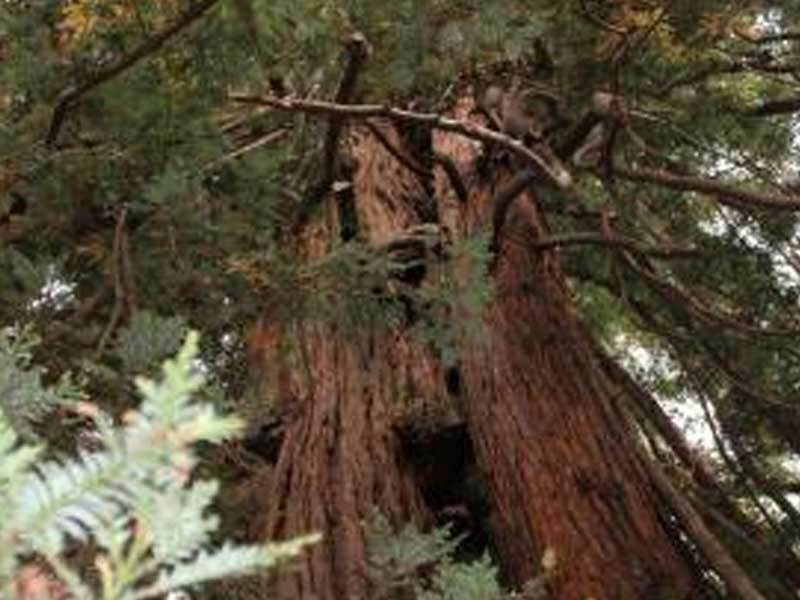 Here you can also see the “Old Grove of Redwoods” with some redwood trees more than 900 years old. 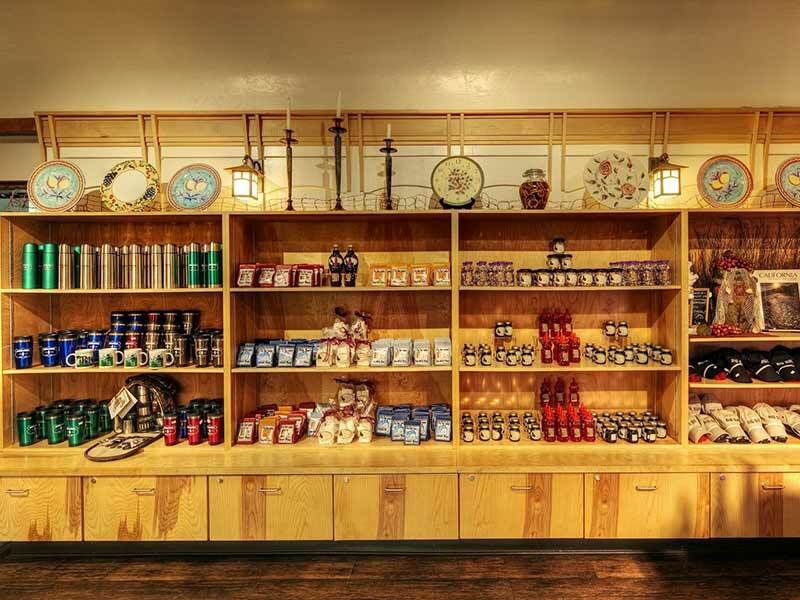 Our camp store stocks everything from flashlights to lanterns, basic groceries to jackets, t-shirts and hats to charcoal and firewood, as well as all the fixings for s’mores or hot dogs. 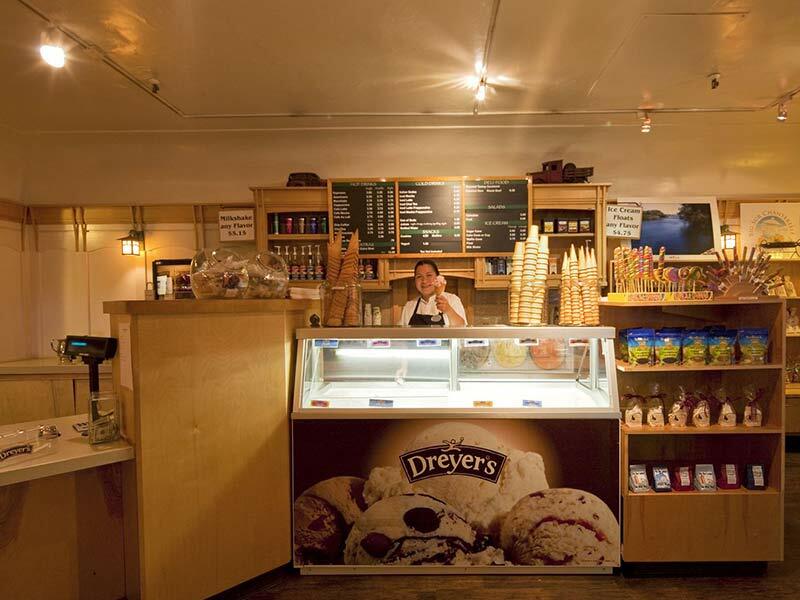 Our deli can supply you with sandwiches and drinks to take on the trail or ice cream and coffee upon your return. 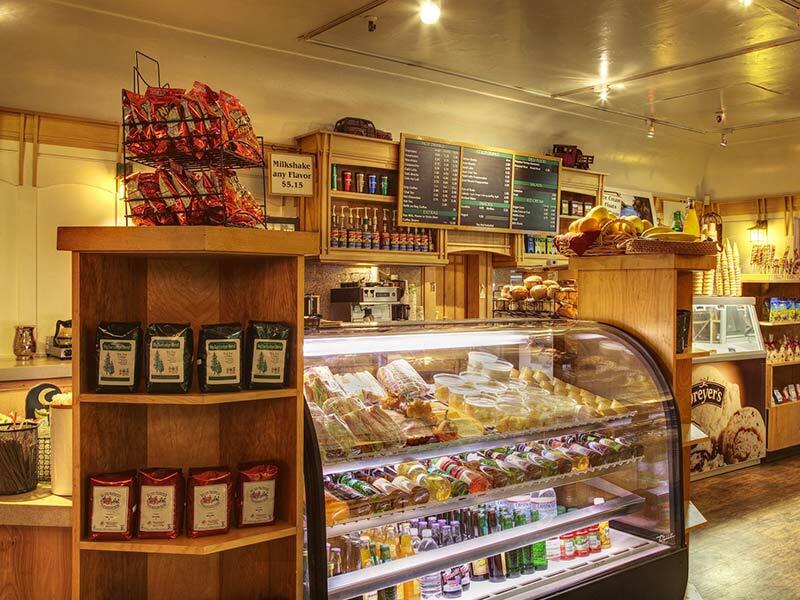 Our café offers hearty breakfasts with house cured bacon, blueberry pancake, scratch pizza, burgers and more. The Redwood Patio, overlooking the cool, rushing Big Sur River offers a hand hewn redwood bar with five beers on tap and great California wines. 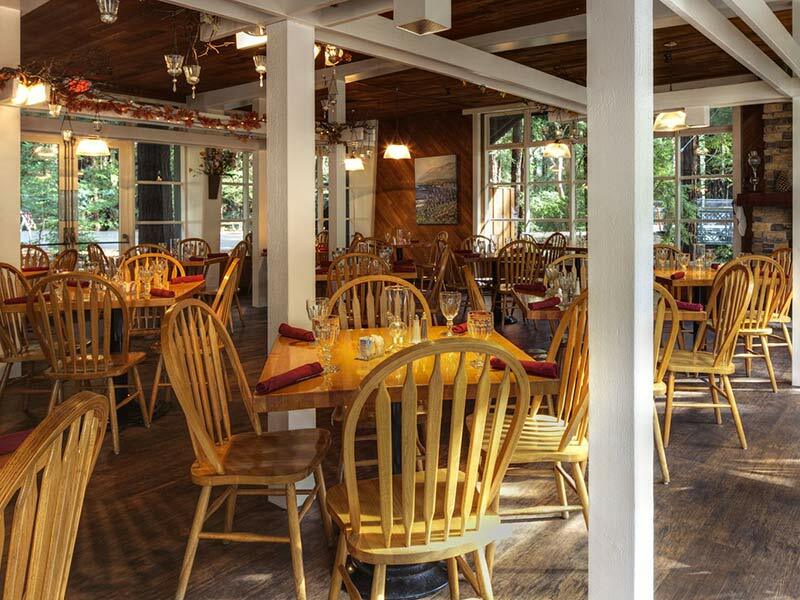 Or, you can venture inside for an authentic Big Sur dining experience.